Mr. Mike Perez is proud to be the principal of Grassfield High School. Now in his 26th year as an educator with Chesapeake Public Schools, Mr. Perez taught for seven years (1993-2000), served as Assistant Principal at Hickory Middle School for three years (2000-2003), Assistant Principal at Western Branch High School for five years (2003-2008), Principal of Hugo Owens Middle School for five years (2008-2013) and is now in his sixth year as a Grizzly (2013-present). Mr. Perez was an Honor Graduate at Great Bridge High school in 1987, received a Bachelor of Science from Old Dominion University in 1993, and a Master of Science in Education Administration in 1999, also from Old Dominion University. Mrs. Beth Pallister is delighted to return for her third year as the Assistant Principal for Instruction at Grassfield High School. She previously worked as an assistant principal at Western Branch Middle School. Before becoming an administrator, Mrs. Pallister taught English at Oscar Smith Middle School and Great Bridge High School. She earned a Bachelor of Arts degree in English and a Master of Science degree in Curriculum and Instruction from Old Dominion University. She earned her endorsement in Educational Leadership and Administration from the George Washington University. Mrs. Pallister has been a Chesapeake resident for more than 25 years and all three of her children are proud graduates of Chesapeake Public Schools. When not at school, Mrs. Pallister enjoys reading, singing, cooking, and watching movies. In her role as Assistant Principal for Instruction, Mrs. Pallister coordinates and monitors the academic programs and plans for school improvement. 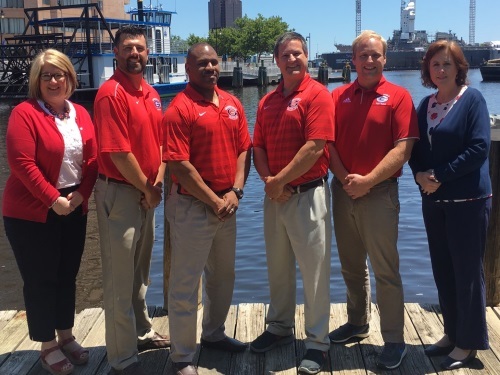 Her goal is for every student to feel connected to the Grassfield community while receiving outstanding personalized and relevant instruction. She believes that success doesn’t come from comfort zones and encourages all Grassfield students to step out of their zones and try new endeavors. Dr. Kitchens begins her 27th year with Chesapeake Public Schools. She began her career in public education as a Marketing Education Coordinator at Oscar Smith High School in 1992. In 2009, she transitioned to coordinating and teaching the AVID Elective and Freshman Seminar courses. Dr. Kitchens was awarded Oscar Smith High School Teacher of the Year and was a citywide finalist for Teacher of the Year in 2012. As a lifelong resident of Chesapeake, Dr. Kitchens graduated with honors from Oscar Smith High School in 1987. She earned her Bachelor of Science degree in Secondary Education from Old Dominion University and Master of Education degree, Certificate of Advanced Graduate Studies, and a Ed.D. in K-12 Educational Leadership from Regent University. Dr. Kitchens resides in Chesapeake with her husband, John, son, Cole and dogs, Zoey and Scruffy. When not at school, she enjoys shopping and dining at new restaurants. Dr. Kitchens is looking forward to a wonderful year with the Grizzly family! Mr. Fulford is a 2000 graduate of Great Bridge High School. After graduating from Great Bridge High School, he received a Bachelor of Science degree in Mathematics from Christopher Newport University, a Master of Science Degree in Secondary Education from Old Dominion University, and an Educational Specialist Degree in Educational Leadership from Old Dominion University. Mr. Fulford is entering his 15th year as an educator with Chesapeake Public Schools. He began his teaching career at Great Bridge High School where he served as a Mathematics teacher for 8 years. This is Mr. Fulford’s 7th year serving as an assistant principal at Grassfield High School. Mr. Fulford resides in Chesapeake with his wife, Meredith, three children, Caleb, Taylor, and Ruby, and dog Laney. Mr. Sylvester Freeman is a 1984 graduate of Indian River High School. After graduating from Indian River High School, he received a Bachelor’s of Science in Mathematics from Saint Paul’s College and holds a Master’s of Arts in Mathematics and an endorsement in Administration and Supervision Pre-K-12 from Norfolk State University. He is an honorably discharged commissioned officer of the United States Army. Mr. Freeman is entering his 28th year as an educator, 6 years with SECEP, 15 years at Indian River High School as a math teacher, and 7 years at Grassfield High. Mr. Freeman lives in Chesapeake with his wife, Sundai, and is the proud father of two children, SaReena and Sylvester. 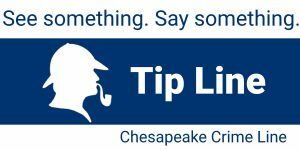 His children are graduates of Chesapeake Public Schools. Mr. Freeman competes in the 100% Raw World Power Lifting Federation where he has won the world bench championship 2003-2010, 2014, and 2015. Mr. Freeman’s other hobbies include table tennis, singing, and personal training. Mr. Freeman is proud to be a part of the Grassfield family and is looking forward to a great year. Dr. Christopher Vail is excited to be an assistant principal at Grassfield High School. Dr. Vail is a 1999 graduate of Pentucket Regional High School in West Newbury, Massachusetts. He received his Bachelor of Arts degree in Political Science from Lynchburg College, his Masters degree in Educational Leadership from Virginia Polytechnic Institute and State University, and his Ed.D in Educational Leadership and Policy Studies at The George Washington University. Dr. Vail is entering his 16th year with Chesapeake Public Schools, and has taught social studies for eight years at Western Branch High School and Great Bridge Middle School. He has previously served as an Assistant Principal at Chesapeake Alternative School and Oscar Smith Middle School. Dr. Vail resides in Chesapeake with his wife Andrea, an administrator for Chesapeake Public Schools, and their two children.